Caring for the environment is a good thing, few would dispute that point. But how to be an environmentally friendly wedding venues isn’t so obvious. Sure, recycling is becoming easier and more widespread in wedding venues, but is there any way of combating/ compensating for a wedding venues carbon emissions? After all, whether it’s the food transportation or the comparatively heavy reliance on refrigeration units and heating etc., wedding venues tend to leave a pretty heavy footprint. 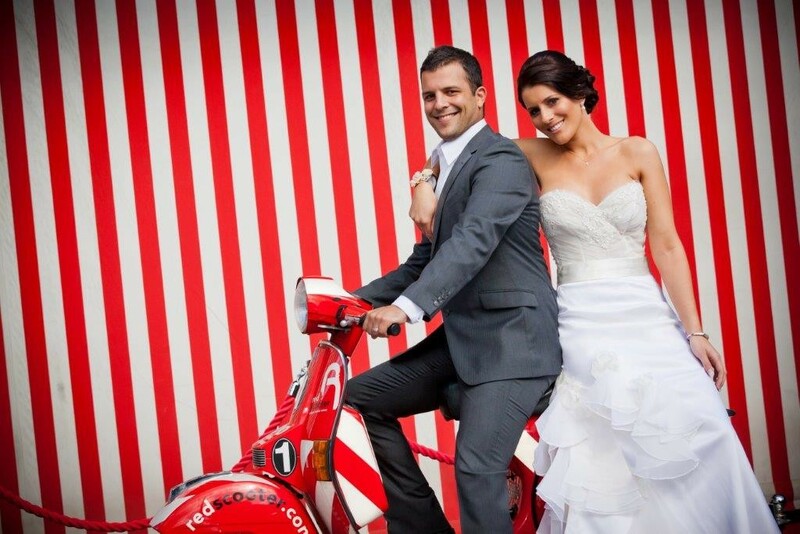 As a matter of fact there is something that wedding venue owners can do and Red Scooter has latched onto it. As mentioned in an earlier blog, Red Scooter formed a partnership with Greenfleet to become Australia’s first carbon neutral venue. This means our wedding venues utilise in-house energy saving methods combined with annual contributions to tree planting – hence the carbon neutral status, whereby Red Scooter is responsible for sucking out as much CO2 as its pumping into the atmosphere. In fact Greenfleet has planted over 3000 trees on behalf of Red Scooter. Other energy saving tactics adopted at our wedding venues involve a wholesale switch to low wattage LED lighting, glass washers that have been updated to use a modest three litres of water with fewer chemicals and the installation of reverse osmosis systems to give Melbourne’s water a quick treatment for a cleaner product. Furthermore, our wedding venues are not content to sit on its green laurels. A large percentage of our wedding venues electricity is sourced from Green Power, which provides energy from renewable sources such as solar and wind power. And what’s more Red Scooter’s already strong recycling program includes a separate organic waste pick up. What goes around comes around and our wedding venues contributions have landed us top spot in the ‘Best Function Venue in Victoria’ category for two consecutive years in the EPA Victoria Sustainable Business Awards. The program aims to encourage business of all sizes to reduce energy consumption and greenhouse gas emissions. Our wedding venues support this idea and urge other wedding venues to adopt other similar approaches to sustainability. Read more about our sustainable wedding venues.